Shopkins are cute, collectable characters from your favourite supermarket shops – once you shop, you can’t stop! Grab your shopping cart and start to shop the adorable fruits, sweets, dairy and more. 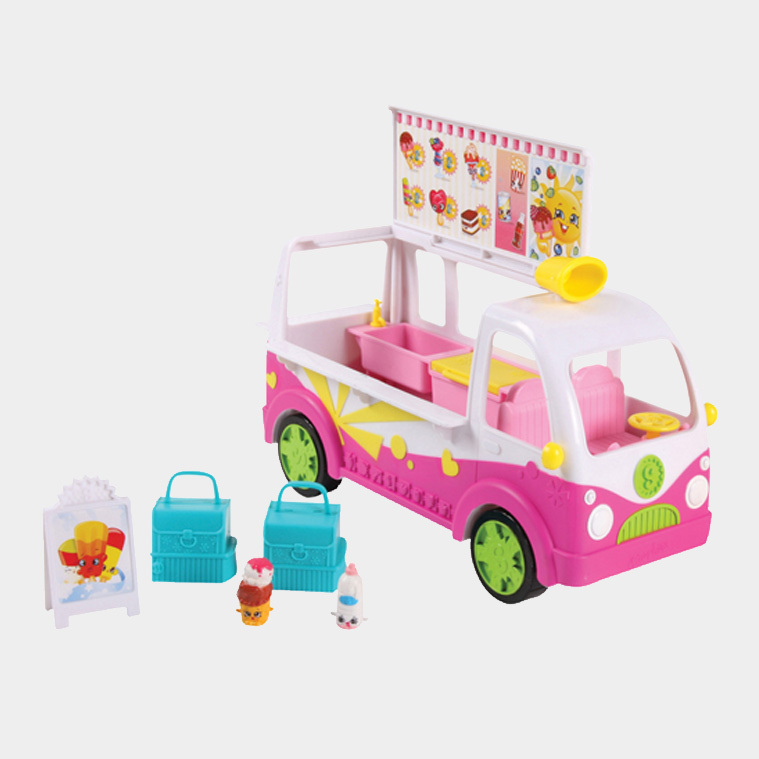 Build up your Shopkins world with our range of playsets; the Ice-Cream Truck has arrived, relax in the shade behind the umbrella stand and your Shopkins friends!